Here starts the campaign to bring omelettes back to the country’s attention! These delicious things are cheap, packed full of protein and can make a meal. And, more importantly, they’re so easy to get right if you use the correct ingredients and equipment. Here’s our guide to this gourmet classic – once you try it, they’ll make a regular appearance in your diet from now on – we guarantee it! Without a decent frying pan, you might as well be having scrambled eggs. And this has happened to me on several occasions when I’ve been without a non-stick one to hand. And we’re not just talking any old non-stick pan here. Buying a cheaper variety is all very well and good, but we think you’ll find that the non-stick surface might not last too long with repeated use (and we’re sure you’ll be using it repeatedly once you’re converted to the way of the perfect omelette), so it’s well worth investing in a good quality frying pan for successful omletting. Try out this House of Fraser discount voucher – you can get up to 70% off selected homeware, including top draw kitchen utensils. We’ve found this Linea Excellence 20cm Open Frypan reduced from £35.00 to £24.50. And to make sure you’re non-stick stays non-stick, we highly recommend that you use a good quality non-metal spatula, otherwise you’ll be scraping the bottom off your pan, as well as the egg. For your omelette to taste just right, then there’s no getting away from the fact that you need to spend that little bit extra on ingredients. Only free range eggs will do, and preferably organic ones. And use the best quality unsalted butter you can find – it really does make a difference. You can click on this Ocado shopping voucher code to get a great discount on your ingredients - for example, if you’re a first time customer, you can save £20 on an £80 order. Put your butter in your non-stick frying pan on a medium heat and melt until it is bubbling slightly, but be sure not to let it burn. 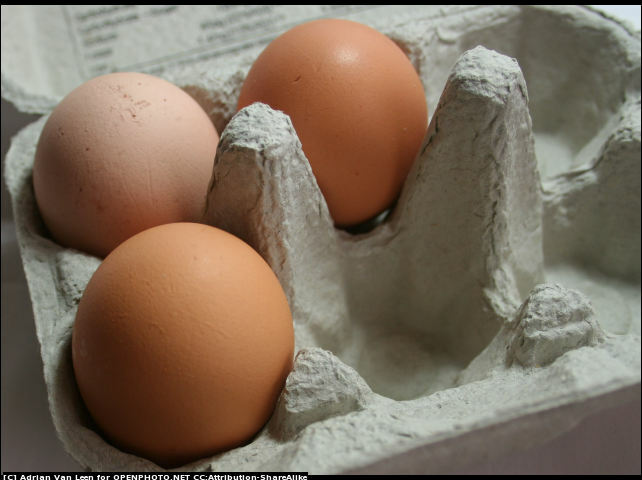 Crack the eggs into a jug or container then add a bit of salt and pepper. Gently whisk together with a fork, but don’t overdo it – you want the yolks and the whites to be just combined, not beaten all together. Pour the eggs into a pan and then, using your spatula, mix with the butter, scraping the egg off the bottom of the pan as you go. Once it’s well mixed, leave to cook for a minute or two, but don’t let it brown too much – you still want the egg to be slightly runny on top. Once cooked satisfactorily, either flip over one half, or fold over one side slightly, then roll it out onto a plate so it is now in a flattened cylindrical shape. Sprinkle with some more pepper and enjoy! The secret is in the butter – don’t be scared to add a bit extra as it adds an extra creaminess and richness. For more ingredient options, take a look at this Sainsbury’s shopping voucher – you can get £10 off a £60 order if you’re a new customer. This really is perfect for breakfast, lunch or dinner – so include a treat of an omelette in your routine every now and again – you won’t regret it! If you prefer something sweeter and a bit different for breakfast check out our alternate breakfast idea with Blueberry Pancakes.